We just got Ninjaflex filamentin the store and are having a ton of fun with it. It is super squishy and perfect for making car tires, bumpers and cell phone cases. We wanted to print a ninja, so we used the official mascot of Pumping Station One's CNC Build Club: The CNC Ninja Squirrel. We printed a few of them at about 40mm tall. Next came the fun part. We tried to torture them to death. We could not kill them. Ninjaflex is pretty cool stuff. We printed it using our MakerBot Replicator 2X. The default lines came out rather thin so we created a custom profile for it. That profile is attached below. Unzip the file into the [username]/My Things/Profiles folder and you're good to go! The profile is on the product pages of the store. You select the profile from the dialog "Make" box. Chicago-based accelerator Impact Engine is looking for passionate entrepreneurs trying to solve the world's toughest societal and environmental challenges. Its 16-week program is designed to provide mission-focused entrepreneurs with the capital, business resources, and network they need to build successful companies that positively impact the world. Apply by June 22nd for the opportunity to build and grow a successful impact business alongside like-minded entrepreneurs, mentors, and investors. 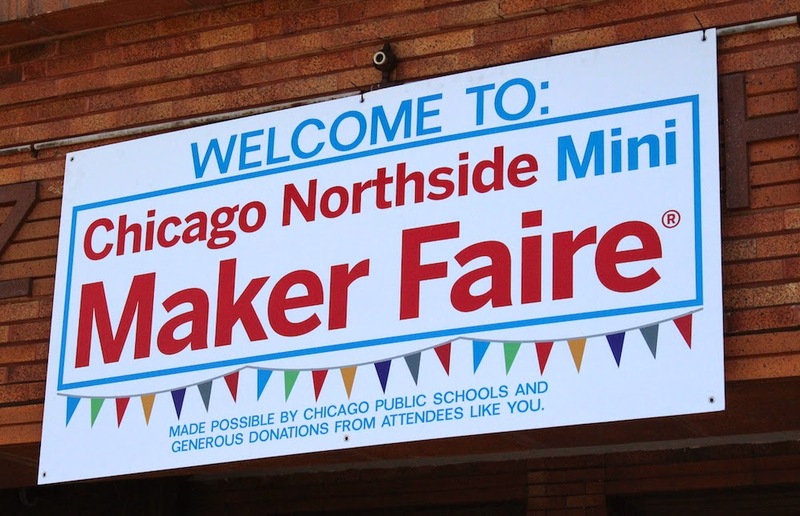 The world-renowned Inventables street team was on hand at the Chicago North Side Mini Maker Faire today, and let me tell you, there was nothing mini about it! We were introducing makers of all sizes to Easel—our free design software that runs right in your browser! Easel allows you to design something in 2D, instantly view it in 3D, and cut it out of real materials like wood, plastic and soft metals on your Shapeoko. Attendees made their own custom-designed keychains, and Easel took care of all the confusing technical details so they could focus on inspiration. Also, there were adorable bunnies.